Back features a Microsoft Tag and says: "Get some good. 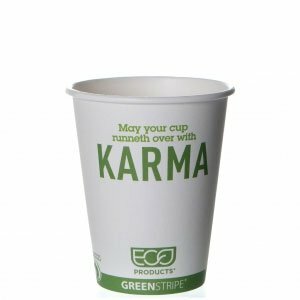 This cup is made from 100% renewable resources, and its certified compostable, so it's good from the beginning to the end of its life. 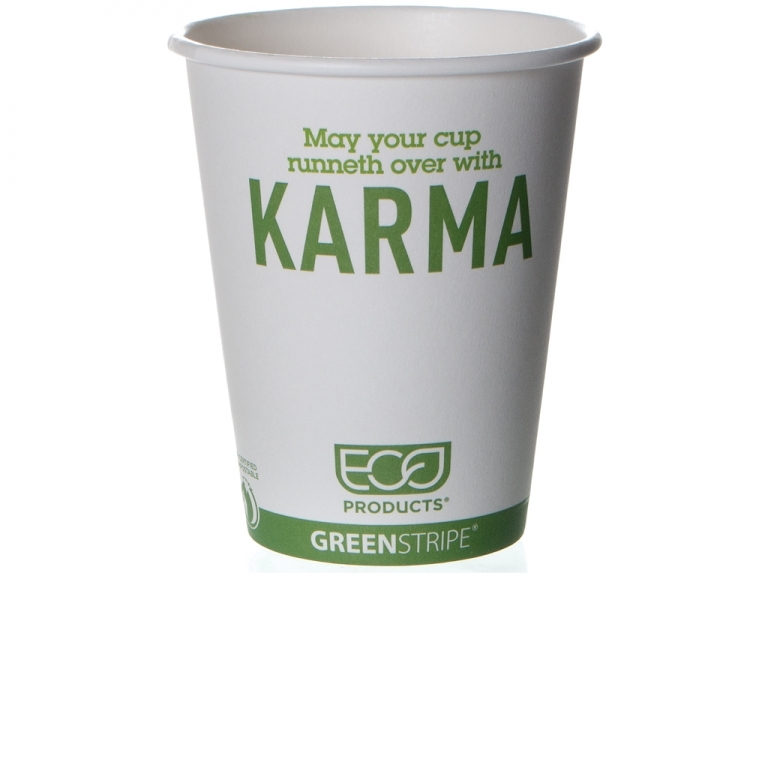 We can't make any promises, but maybe this cup will bring a little goodness into your life, too."